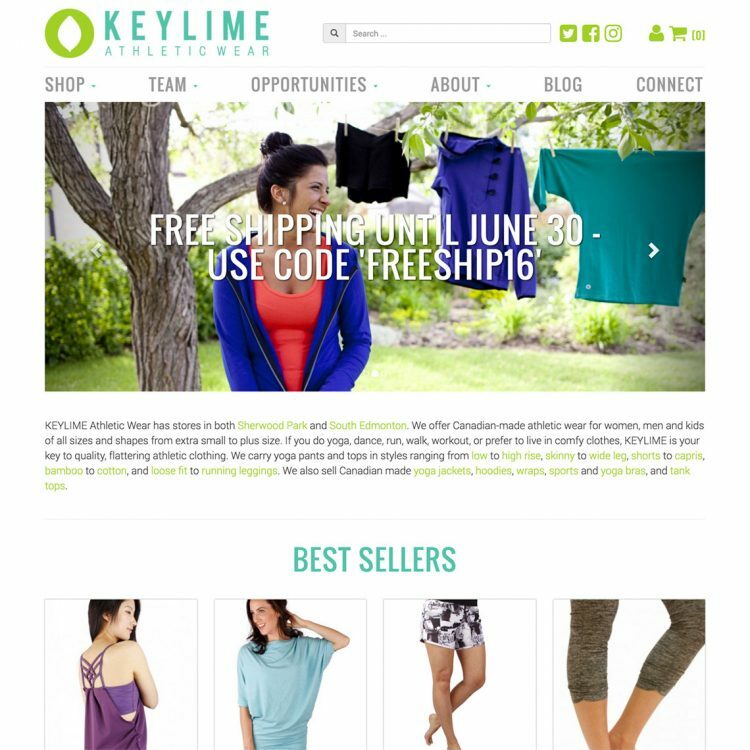 KEYLIME Athletic Wear is a Canadian clothing retailer with a storefront in Sherwood Park, Alberta, as well as a network of direct sales reps across the country and an online catalog of hundreds of products available for purchase through their website. KEYLIME offers stylish, comfortable and quality sportswear, workout gear and yoga clothing and accessories for the real lives of real women, men and kids. KEYLIME has a focus on local and Canadian manufacturing with environmentally sustainable fabrics. After working with KEYLIME in 2012 on a new website for their initial rebranding, 4 years later it was high time for an upgrade. The scope of the renovation saw a transition from using the WP e-Commerce plugin to the WooCommerce plugin to run the online store, as well as a cleaner layout more inline with modern design trends and a focus on making the site fully mobile-responsive. Create a custom mobile-responsive WordPress theme with custom theme options. Integrate a custom-themed WooCommerce installation to support online sales and a custom-themed Events Calendar to promote KEYLIME’s many in-store and community-based events. Import and reformat content from the previous iteration of the website. Integrate blog and social media components. Develop a library of contact forms for prospective customers to request information.